Solarkilns’ Solarola technology enables an efficient and superior method of drying a large range of timber species through its’ advanced solar drying technology. 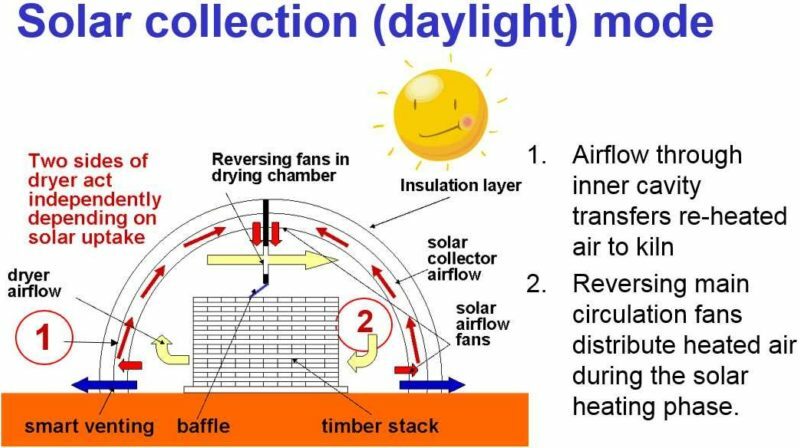 The Solarola kiln system has a unique cyclic-drying method which capitalizes on the daily cycles of heating and cooling that naturally occur each day. This system has now been proven to significantly reduce cracking, splitting, warping, case hardening and collapse commonly found in many difficult to dry timber species, in both softwood and hardwood. Solarkilns can also reduce thermal energy costs by as much as 100% whilst still drying as fast as a fuel heated kiln by operating on solar contribution alone for it’s thermal heat requirements. With seasonal fluctuations, the operation of any supplementary heating system for the kiln becomes a choice at the discretion of the kiln operator/owner. 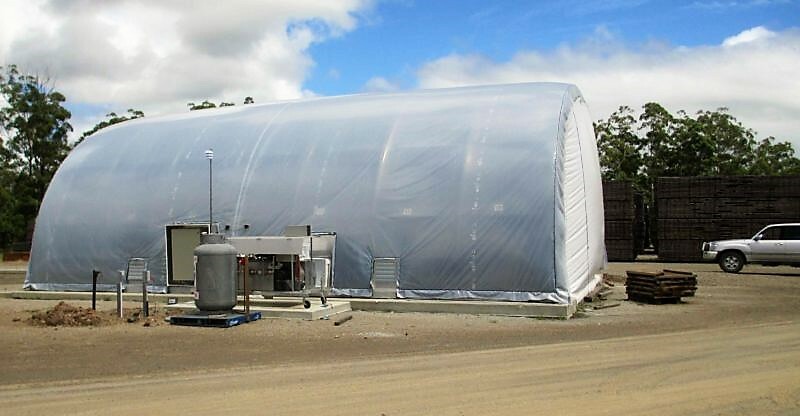 Primarily developed for the timber industry, the same drying technology benefits can be applied to drying many other products such as fruit, herbs, spices, leaves and many other edible and waste products. Accurate control in the Solarkilns chamber of humidity and temperature allow sensitive products to be dried with optimal control during critical stages of the drying process which can eliminate degraded product. Talk to Solarkilns about your application and how our system can benefit your drying operation. 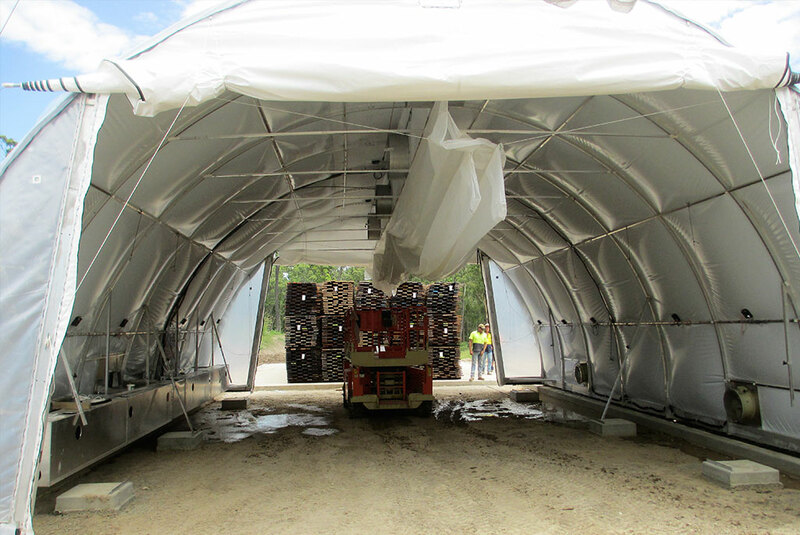 This T3 kiln has a capacity of 150 cubic meters with auxiliary LPG heating system- Hardwood Timber drying – location Northern NSW, Australia. And to prove drying of your timber in your location prior to larger capital expenditure. The MiniPro timber drying kiln is an excellent and vastly superior alternative to a converted shipping container timber drying kiln. Where a 20ft container can hold 6-8 cubic meters of timber the MiniPro kilns are sized at 16 & 20 cubic meters capacity. With prices starting at USD$20,000.00 for the 6.1 meter long unit & $22,500.00 USD or the 7.5 meter unit. These kilns are supplied as a kit with all assembly instructions provided. Go to the Contact Us page to submit a request for further information on how a MiniPro can benefit your timber drying needs. 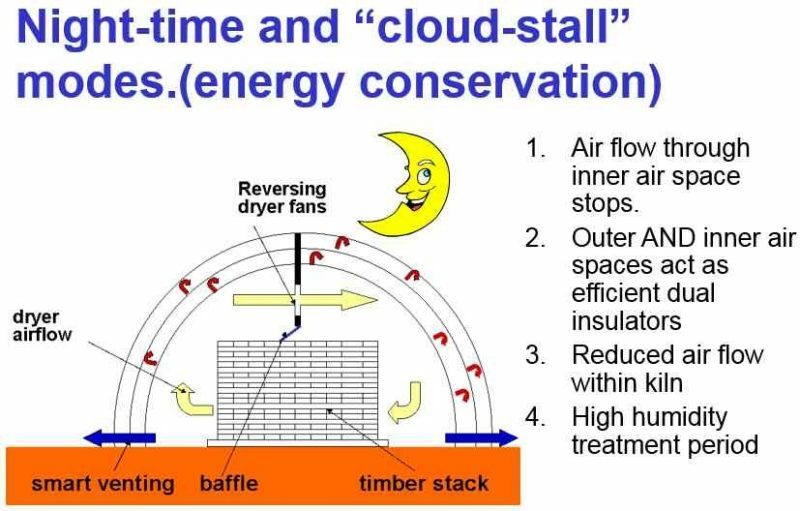 The kilns advanced control system works in harmony with day/night cycles and automatically adjusts the operation of the kiln to make the most out of cloudy days where intermittent sunshine is available. In fact, the control system even knows when a cloud blocks out the sun and adjusts to suit as illustrated below. Potential damage to the kiln by forklift operators lifting wide loads of timber is eliminated. The next load of timber can be accumulated in position and be kept covered (green off the saw) or pre-air dry prior to kiln drying. Solarola kiln on guide rails being positioned over a new load of timber. Solarkilns unique design provides large capacity chamber sizes at very economical prices per cubic meter capacity. 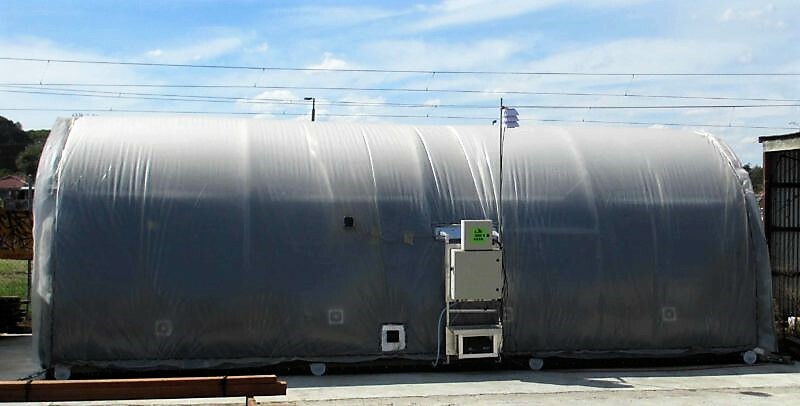 The only cyclically-controlled, commercial drying system in the world, our solar kiln has benefits that ensure maximum productivity with minimum cost. Using The Suns Energy To Heat The Kiln, Genius!